Massage is a wonderful way to relax, increase circulation, address areas of pain, injury, and healing for your body and mind. Regular massage is shown to decrease stress and increase health. Each session is specific to the client and will include intake to discuss your goals, any areas of concern or change and how TruBloome can assist you in reaching those goals. We do this through in-home sessions customized for you. FAQ: Review the Frequently Asked Questions to understand what to expect during a session and other general information. Packages can be purchased in sets of 3, 5, or 10 sessions of 60 minutes each. Prices vary depending on the package and type of massage. Packages are discounted off the single session price. To purchase a package, please click here. A type of Swedish massage that only uses the kneading and rolling techniques for a client seeking to induce simple relaxation. This type of massage is for anyone who enjoys a lighter touch or just wants to bliss out for a bit. The most common type of massage using long, flowing strokes to help clients with pain relief, joint stiffness, improved circulation, general relaxation, increased blood flow and stress relief. The therapist may use a combination of kneading, rolling, vibration, percussive, and tapping to assist the client in reaching a state of relaxation and jump starting their ability to heal. Deep tissue work involves techniques designed to address the deeper muscles of the body and the structures that support them (ligaments, tendons, fascia). In order to get into the sub-layers, the therapist must warm up the body and the surface muscles and structures to ease into the deeper muscles. The therapist may use a combination of their hands, knuckles, forearms, or elbows during a deep tissue session. This technique is generally used to address chronic pain, reducing spasms, and tension in specific muscles or joints. This is used in combination with other techniques. Treatment/Injury Massage is appropriate for a client dealing with a disease, pain, or recovery from an injury. The therapist utilizes their background in pathology and knowledge of specific treatments for the client, depending on the issue presented and may work from a physician’s prescription or referral for this type of massage. Pre/Post Natal massage is similar to a massage during non-pregnancy with accommodations made for the changes to a woman’s body during pregnancy. The goals are still relaxation, pain relief, increased mobility and circulation. Accommodations are made for the increased swelling and tenderness of the client’s breasts and their growing belly. Pillows, positioning, and special techniques are used to ensure mom and baby are comfortable. This type of massage can help with labor, decrease pain and anxiety, and rebalance structures, physiology, and emotions post delivery. Please note the 90 minute session is for Post Natal only. This type of massage is designed to enhance athletic performance and recovery. It combines different techniques to increase blood and lymphatic flow, reduce and eliminate trigger points, and increase range of motion. Massage therapy can often speed and improve the quality of healing after an injury. This type of massage utilizes the therapist skills in energy healing to enhance the relaxation and healing effects of the Swedish or Deep Tissue Massage. The therapist will use their hands to sense areas of stuck energy and use both Reiki and massage techniques to release the stuck energy and tension. Tension can be a result of energy that has not been processed which lodges in areas of the body. This is highly recommended for those clients who are interested in experiencing the effects of Reiki and who are ready to take their healing to the next level. Trigger Points are the hyper-irritable knots in the muscles often causing pain, burning or a sensation of pain radiating to other areas of the body (referral pain). During Trigger Point Therapy, the therapist uses direct pressure techniques to help deactivate the trigger point. The goal is to teach the body to relax and let go of the knot allowing the muscles to work properly and decrease the pain and irritation. The use of essential oils (extracted from flowers, herbs, resin, wood, and roots) during the massage is called aromatherapy. Essential oils aid in relaxation, improves circulation, and helps wounds heal. Oils are chosen by the therapist depending on the client’s desired outcomes and sensitivities. Current selections include lavender, frankincense, sweet orange, and blends. 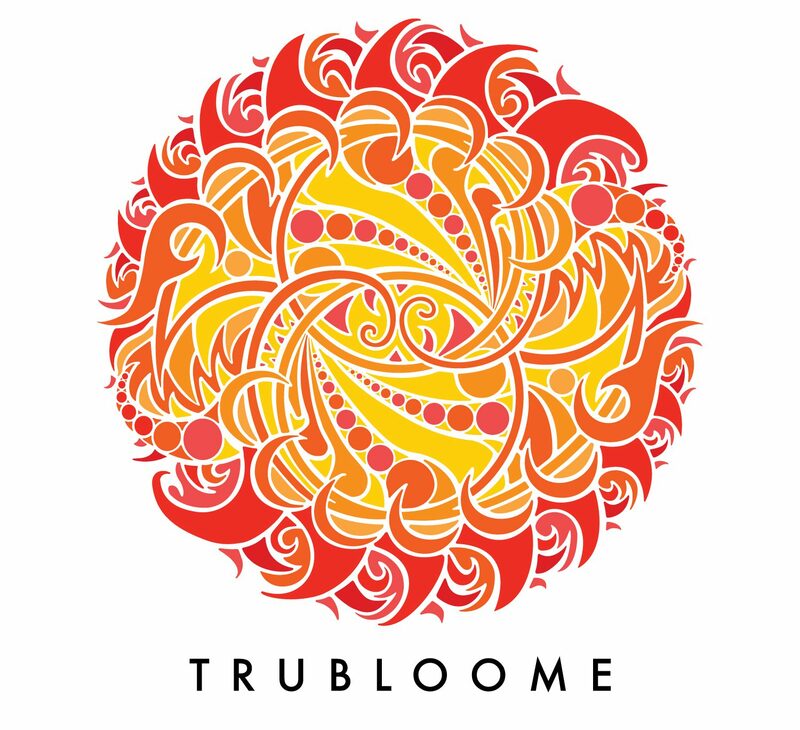 TruBloome also offers packages which can be used to jump start your healing, continue your transformation, or be used as a gift. * All packages have an expiration date and depending on the number of sessions in the package will determine the number of sessions per week that can be scheduled. Accepted payment methods are cash or debit/credit card. Clients will be invoiced for packages. Singles sessions may pay at time of service. ATTENTION New Clients: Please schedule a 90 minute session to complete intake forms and an initial consultation to allow us to evaluate your current situation and create a plan to address your needs and goals. This provides a starting point so we can easily measure your progress. This is billed at the 60-minute rate. Cancellations require a 24-hour notice. We do charge a $35 fee for cancellations with inadequate notice and for “no shows.” If there is an extenuating circumstance, please let us know. *Referred client must schedule, keep, and pay for appointment to qualify for referral discount. Limited to one discount per referred client. Currently, we do not submit to insurance companies. If your insurance provider covers massage therapy and you’d like to work with us, TruBloome can provide you with a detailed bill to submit for reimbursement from your carrier. Please contact us with any questions you may have on this subject.